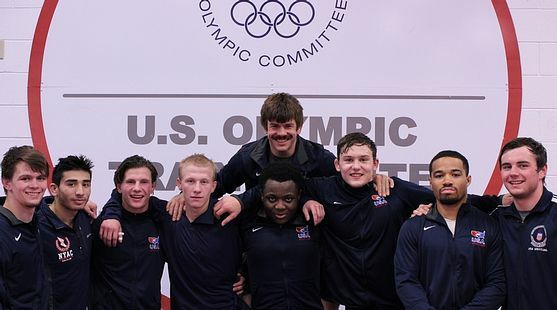 MARQUETTE---Northern Michigan University Olympic Training Site Greco-Roman wrestlers will compete in three World Championship events this semester. Athletes will take part in the Junior World Championships in Slovakia, the U23 World Championships in Romania and the Senior World Championships in Hungary. To earn a spot on the teams, athletes needed to qualify to enter their respective World Team Trials, finish in the top two and then win a best-of-three match series. Alston Nutter, an NMU freshman from Fennimore, Wis., will attend the Junior World Championships in Trnava, Slovakia Sept. 17-23. Nutter, who competes at 63 kg, earned his trip to Slovakia in June at the Junior World Team Trials by defeating Dylan Gregerson of Utah Valley University 8-0, and 10-2 in the championship series. Dalton Roberts of Fowlerville, Mich., will attend the Senior World Championships Oct. 26-27 in Budapest, Hungary. The NMU senior is a four-time age-group World Team member and earned a spot on his first Senior World Team this past June at the Greco-Roman World Team Trials. Roberts defeated 2017 World Team member Ildar Hafizov two matches to one in the 63 kg finals. After dropping the first match 2-4, he came back to win match two 10-2 and match three 4-2. The NMU-OTS wrestling squad has six current student-athletes attending the U23 World Championships in Bucharest, Romania Nov. 12-18. Athletes include Randon Miranda of Palmdale, Calif., Dalton Duffield of Moore, Okla., Logan Kass of New Prague, Minn., Jesse Porter of Albany, N.Y., Carter Nielson of Foley, Minn. and George Sikes of Pierce, Fla.
Duffield, a newcomer to the NMU-OTS team, earned his spot on the team at 55 kg. Duffield defeated Jabari Moody of the NYAC two matches to none, 7-7 and 12-4. Miranda faced teammate Roberts in the 60 kg finals. After dropping the first match 5-7, he would come back to win the next two matches 4-2, 6-3. This will be Miranda’s first trip to the U23 World Championships after competing in the 2016 and 2017 Junior World Championships. Kass advanced to the finals with a decisive 8-0 semifinal win over Mccoy Tekautz of the Minnesota Storm at the 51- second mark. In the finals, he won by medical forfeit over Alex Mossing of the Air Force Academy. Porter met Fritz Schierl of Ohio State in the 77 kg finals. The first match ended 6-6 in favor of Porter. He won the second match with a 10-0 technical fall to clinch the series. Nielsen faced Andrew Berreyesa of Cornell in the 82 kg finals, 1-1 and 12-2 respectively, while Sikes earned 2-0 and 5-1 victories over Jimmy Stillerman of Lancaster Allience at 87 kg. Also earning a spot on the team was Travis Rice of Washington, Ill. Rice is a recent graduate of NMU but was wrestling for the team. He defeated Xavier Johnson in two matches at 63 kg, winning 6-6 and 18-7 technical fall.